November 11th - Why is it a special day? November 11th – Why is it a special day? Hello children. Thank you for joining me here at the North Pole today. Our countdown to Christmas starts soon. But before that I would like to talk a little about what November 11th means to us. Over 100 years ago there was a war. A war bigger than any we have seen. Lots of people fought, and sadly lots of people died too. This was way before you were all born. I was still delivering presents to all the children across the world. These children were your grandfathers, grandmothers, great grandfathers and great grandmothers. Maybe even great, great grandfathers and grandmothers. Why did they fight? Well they fought for us. They fought so that we would not have to. They fought so we could have freedoms. The freedom to play, to learn, to laugh. The freedom of safety, community and unity. The freedom to go to school or go to the park. The freedom to live in our own houses with our own families and the freedom to be whoever we want to be. Almost 100 years ago on November 11th the fighting stopped. The war came to an end. On the 11th hour, on the 11th day of the 11th month the fighting came to an end. People did not have to be scared anymore. People did not have to die any more. It was a great day for the world. People around the world are still fighting for us today. To make sure we are safe. To make sure we are free. To make sure we do not have to fight in a war like the one in the past. So every 11th day of the 11th month, and at the 11th hour (11 in the morning) myself and the elves remember those who fought for us. 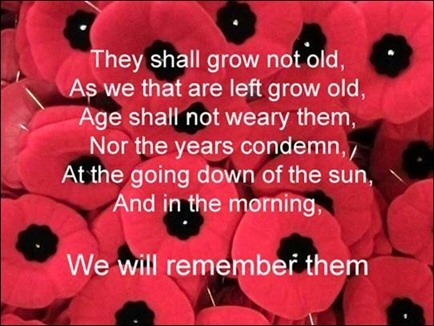 On November 11th we will remember those who are still fighting for us. We will stand together in silence for 2 minutes and think about the good which has come from all that happened in the past. If you are able then please join us in silence at 11 in the morning, with your family, your friends, or even just by yourself. Let us think about those who have fought. Let us think about those who are fighting around the world for us. Maybe it is a relative, maybe a friend or maybe a stranger. They are all fighting for us. They all deserve our thoughts and thanks. The bad things are hopefully now in the past. Christmas is coming as we look to the future. I wish you all a very merry Christmas season. 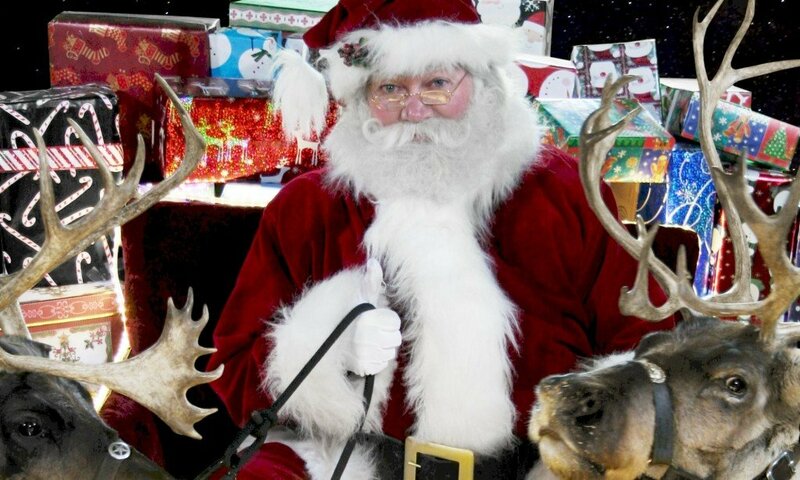 Soon I will be flying around the world again delivering presents with my reindeer. And I’ll remember November 11th and all those who gave me my freedom so I could! P.S. Do you know someone who fought in the past wars or who is fighting in a war today? Would like to share their name or their story? Would you would like to say a word of thanks to those who fought or are fighting? You can click here to tell me or scroll down to see what other people have written! Dear Santa I want a Sophia’s first breath doll ! Like a real baby !And I want a new tablet ! And a new I phone 6s ! But most of all I want the doll !! Thank you santa I believe in you and love you ! Dear Santa I hope that it will be Christmas time soon because I can not wait for Christmas time because I am so excited for Christmas time and so is my brother and my mom and dad are excited to see you and miss Claus down town I am excited for Christmas time I can not wait. A long time ago my grandpa was I’m the army and he is with us today and has all of his stuff in the basement on top of a t.v. I hope you have a wonderful Christmas and thank you for all the presents you have given to our family each year.God bless you and love you. I hope to bring my i pad pink and purple hot pink zebra and my tablet pink and blue and the elf on the shelf and more presents for me and my friends and my two sisters have a good Christmas Santa. Hi santa! Both of my Grandfathers are veterans and fought in World War 2. They are still alive. OH! Also, when will you send John,my elf on the shelf, and Sky, my elf pets reindeer? It was a very amazing day and my aunts ex- huband was i think in the army!!! My great great grandpa was in the world war 1, he died in the war but we still think of him today. some of my friends late relatives were in the world war 1 two. so we all remember them still today!!! Hello santa claus umm in my school we had out 2 minutes of silince i was quite bad but i tryed , i did not talk. Did you have your too minutes of silnce i hope you did. Imm very exited for christmas!!! My grandfather was in the Vietnam war, and my uncle was in a couple of wars like a war on Iraq. My 2 Uncles Were In The Army. When They Retired, One Of Them Was Seeking To Protect This Country, But He Was Accepted As Guard Which Means He Has To Go To Different Countries To Guard During Wars. It Wasn’t Fair Because He’s Always Leaving His Family To Go To Different Countries. I Will Always Know Him And My Other Uncle Who Fought In The Army. I have friends and family that have been in the army. My great uncle used to serve. My step grandpa, and Jacob is in the army right now! I wish all of them are save and sound. However is reading this please if you know anyone that served, please tell them thank you. My great great grandfather was in world war 1 and after he came home he died!!! Previous PostPrevious Merry Christmas, 2015!